2003, Hardbound, 362 pages, 626 illustrations mostly in colour, index. An very large and unbelievably luxurious volume. 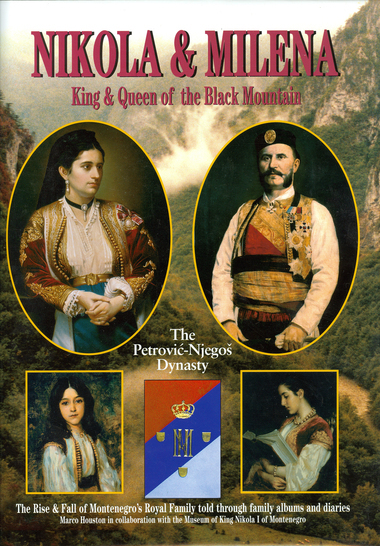 The complete amd lavishly illustrated history of the Royal family of Montenegro. Once asked what his country’s main export resource was, King Nikola is said to have answered: ”Princesses!” The Royal families of Serbia and Italy descend from the little Balkan Kingdom, with links to the Imperial Russian family as well as to the Battenbergs and many others. Unique illustrations.